Strongly rooted in the principles of quality, green building, energy conservation, functional design, solid value and cost savings, our preferred and trusted builder for our homes in The Reserve at Ulao Creek is Thierfelder Builders, Inc., owned and operated by Bob and Sue Thierfelder, in Cedarburg, Wisconsin. They work with you to bring your thoughts into a beautiful reality. They have been building custom homes since the mid 80’s in the Cedarburg, Grafton and Mequon area as a design/build firm. After comparing the bids from numerous builders, we found what others considered extras were included with Thierfelder Builders. 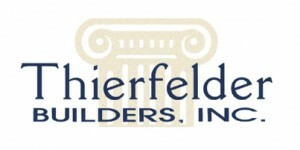 We encourage you to find out more about Thierfelder Builders, Inc., for yourself at: www.thierfelderbuilders.com or contact Bob or Sue at 262.377.5369.